Every time I watch a 9/11 movie, the first thing I do is read a little bit about the film’s authenticity. How much of it was true to the original happenings and how much of it was fictionalised to create drama and if I am comfortable with the added drama. The thing with a 9/11 film is that it leaves a lot of room for dramatisation and unnecessary heroism and when handled by a not so mature filmmaker, it easily ends up becoming a propaganda film, an ‘american’ film. I, for one, do not appreciate singling out particular heroes from an event that made a nation come together and fight the evil in one way or the other. Fortunately, nothing like that happens in Paul Greengrass’ United 93. It’s a film which doesn’t indulge into unnecessary subplots in the name of creative freedom and stays ridiculously true to its subject matter. But apart from its honesty to the subject, details is what makes United 93 a powerful film, one of the best films on the subject. 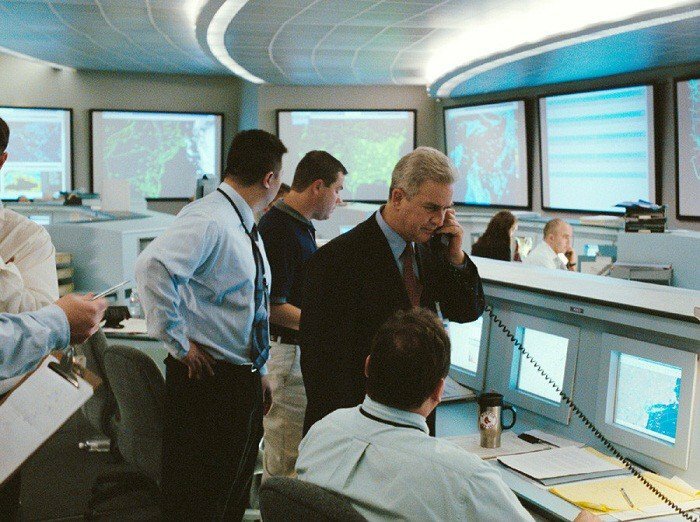 We get to see the minute by minute proceedings of 9/11 in real time through the point of view of ‘United 93’, one of the many planes that was hijacked that day, and a few air control rooms and I liked how the film doesn’t distract anywhere from the two point of views. When the first plane hits the World Trade Center, that was the moment United 93 separated itself from every other 9/11 film, I was expecting to see certain scenes from Manhattan, up-close to the location where WTC was standing, people running in chaos because it is a kind of visual that sells like anything, people like to see those things in movies and every 9/11 movie sells it shamelessly. 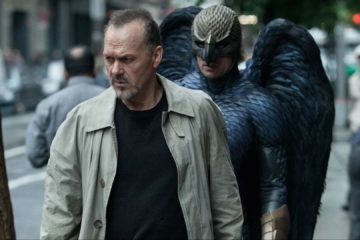 I find it insensitive and indecent, a 9/11 movie deserves more dignity and Paul Greengrass was really uptight about that, he knew how he wants his movie to look, as a viewer, you can actually feel that the director has full control over the material. In United 93, we get to see the first world perspective brilliantly. In a powerful country like USA, people feel so secure that even after a plane has entered into World’s tallest building, no one is even remotely thinking that it might be a terrorist attack, there are mentions of the word ‘Hijack’ but half of them aren’t taking it seriously, some even concluded that it must be a student pilot who fucked up. Earlier in the film, some even joked about the fact that a plane is perhaps hijacked. He state facts that the last time it happened, it was early 90s and waved off the whole hijack conversation. Before 9/11, America didn’t really think that their country is vulnerable at all, they had this laid back and overconfident attitude towards any major security threat, so much that after WTC is hit, the military chief had to constantly remind his team that this is a ‘REAL WORLD SITUATION’ they are dealing with. When the second tower is hit, there is a contrast in the reaction and we get to see the vulnerable side of Americans, the people who might have forgotten what a real world threat really looks like and it’s disturbing to see that. One of the most admirable thing in United 93 is the fact that there isn’t a protagonist, the film doesn’t loose the grip over unnecessary character introduction and their background. There aren’t any particular hero which the film celebrate, nor it tries to be a critic on terrorism or its root cause. There aren’t any mention of Osama Bin Laden or Al Qaida or any such group. It is just a film with a situation in hand and a few heroes emerge out of it by accident. United 93 is a tribute to the brave initiative taken by a few civilians. Since the film doesn’t show you a lot of the chaos it caused in Manhattan, New York and America in general, it creates an anticipation which makes you realise how tough it must be for Americans to be reminded of 9/11 time and again. This develops a respect for United 93 because even though it is brutally honest and doesn’t hold back its grit, it handles with care the fragile emotions 9/11 brings with itself. Cinemawala  : A heartbreaking ode to the single screen theaters!